Now, with billions of people in Facebook, Twitter, and Instagram, social media is creating a new age of business opportunities and ways to engage, building two-way communication that lets customer give feedback and reactions in real-time. As our transport and logistics industry continues to evolve, it is ideal to work intelligently to use technology and media to drive shortcomings and build a connection with our partners and customers. The link that connects social media and the transport and logistics industry is normal: both rely on mobile technology to work. Social media is an effective marketing tool – an instrument that should be utilized as an extension of your marketing and operations strategy. Logistics is historically known to spearhead new technology in order to operate smoothly. And, with social media, there is a chance to use technology for marketing and communications. There are a number of methods to improve your marketing efforts and productivity using social media. But, businesses should use social media strategies intelligently and strategically. Just starting a business Facebook page will drive little to zero results. It’s all about the efforts you and your back office offshoring services put into it. When thinking of which social media you will harness and who will use it, you must understand how your current customer and marketing team is engaging on social media. You also need to know who you want to offer your services to, why you want to sell or interact with them, how you will engage to each set of clients, and which tools you will need to engage with them. These decisions should be well though of. It’s a complicated process, as is any aspect of a strong digital marketing plan. Facebook, Instagram, and Twitter are popular ways to interact. But, the key to getting results with these platforms is great content that provides solutions and engages your audience to you and your business, and interacting with your followers consistently. It is a good notion to build and utilize a social media presence by hiring someone or outsourcing. They will make sure your social media plan will be executed smoothly and will address issues in a timely manner. Aside from Google, YouTube is currently the top search engine. Video is one of the superior ways to engage your customers and prospective clients. We in the transportation and logistics field purchase from people, and video is as personal as you can get to your audience without actually being there. Video is a fantastic way for potential customers to learn about the services you offer. Social media does not only create a platform to engage with your target market, but it also gives you and your staff an opportunity to engage and bring about the brand promise your company embodies. 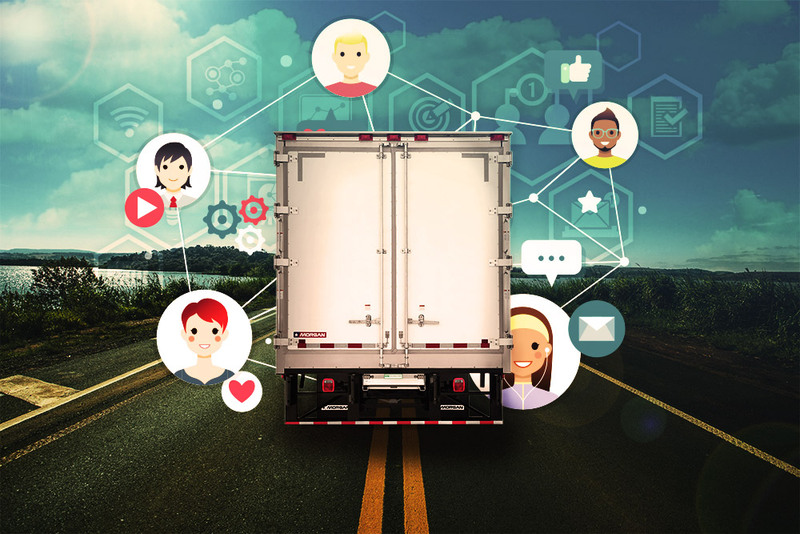 In the transport and logistics industry, your customers are on social media – that’s why you and your team should be immersed in it too.